As a not for profit membership organisation LABC seek appropriate sponsors to support our marketing, PR, lobbying and training activities. Our sponsors also support our regional and national events throughout the year including monthly regional technical roadshows, our annual conference, various training events and of course the LABC Building Excellence Awards. Abbey Pynford is a ground engineering company specialising in residential and commercial foundation and ground floor packages for all sites. With our expertise in design and build foundations, civil engineering, basements, underpinning, piling and geostructural engineering we are able to provide a diverse and comprehensive service offering to our clients, whether a single plot or large development. The Federation of Master Builders (FMB) is the UK’s largest construction trade association. For 75 years, the Federation of Master Builders has championed continuous improvement in building standards. The FMB goes beyond simple checks and ratings. Instead, we independently inspect and vet our members to provide credible proof of quality. 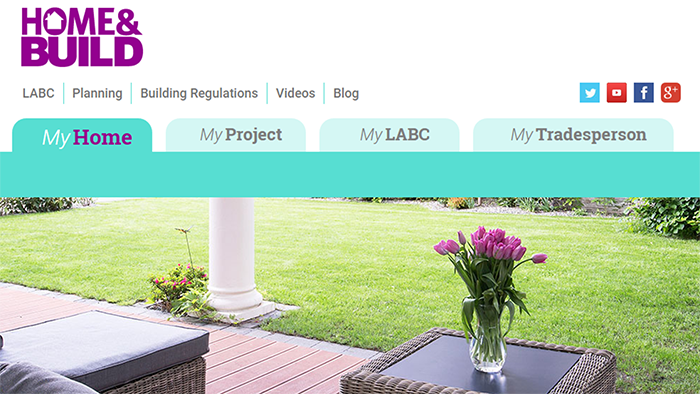 Homeowners can find a vetted and inspected Master Builder via FMB’s Find A Builder service. They also offer suggestions for creating dream homes and finding tradespeople, designers and materials – including advice on how to use contracts for suppliers and contractors. Home&Build are proud sponsors of the LABC Building Excellence Awards. With over 600 branches across the country, Jewson leads the way as a major supplier of sustainable timber and building materials. Jewson celebrates 180 years of supplying building materials and supporting the trade through offering a wide range of quality materials and products from everyday core essentials to the latest sustainable innovations. In addition to timber and building materials, Jewson also has specialist landscaping, joinery, insulation, tool hire, brick, kitchen and bathroom centres up and down the country. Keylite Roof Windows Ltd is the only manufacturer of roof windows from the UK & Ireland. The company offers a full range of roof windows, blinds, timber loft ladders, flashings, electric operation kits and accessories and is Europe’s fastest growing roof window manufacturer. The Keystone Group consists of Keystone Lintels, IG Lintels, IG Elements, Smartroof, IG Masonry Support Systems and Keylite Roof Windows. Keystone is the largest steel lintel manufacturer in the UK and Ireland and Europe’s fastest growing roof window manufacturer. With a strong focus on innovation, the company has grown to its present position in the marketplace by establishing a reputation for reliable supply of quality specialist products. The Planning Portal is the home of planning and building regulations information and the national application service for England and Wales. Our aim is to provide answers, services and information to anyone involved in the planning process, from home owners and businesses to planning professionals and government officials. We deliver this by working in partnership with every local authority in England and Wales. Polypipe pioneered the production of plastic drainage systems in the UK more than 50 years ago and we remain the number one choice for engineered, robust drainage solutions for Commercial and Public Buildings. From single solution products to fully designed and assembled systems, Polypipe Building Services can help you achieve class-leading benefits for your commercial project; from hospitals, hotels, leisure centres and sports stadiums, for example, to public buildings and office blocks.